Mr. Wong Kok Hoe (“Mr. 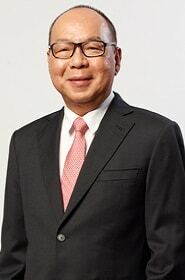 Wong”), aged 56, joined the Board on 1 August 2011 as a Non-Executive Chairman. He is also a member of the Remuneration Committee. He was last re-elected a Director of the Company on 26 April 2017. Mr. Wong is the Group Chief Operating Officer at Centurion Global Ltd, a controlling shareholder of the Company, responsible for overseeing the operations of Centurion Global Ltd and its subsidiaries’ investments across a wide range of industries in various jurisdictions. Prior to joining Centurion Global Ltd in 2009, Mr. Wong was admitted as a practising lawyer in Singapore on 14 March 1990. He has more than 18 years of legal experience in the areas of corporate law, corporate finance, and mergers and acquisitions. 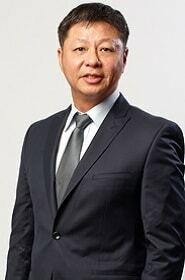 He started his legal career in Drew & Napier before leaving in June 1996 to be a partner in Yeo Wee Kiong & Partners. In October 1999, he joined Rajah & Tann (which was subsequently converted to Rajah & Tann LLP) as a partner and stayed on till June 2008. From July to December 2008, he acted as a consultant in Rajah & Tann LLP. Mr. Wong obtained a Bachelor of Law (Honours) degree from the National University of Singapore in June 1989. Mr. Loh Kim Kang David (“Mr. Loh”), aged 55, joined the Board on 8 May 2015 as a Non-Executive Director. He is responsible for participating in the formulation of corporate and business strategies. Mr. Loh was last re-elected a Director of the Company on 29 April 2016 and will be seeking re-election at the forthcoming Annual General Meeting to be held on 25 April 2019. Mr. Loh has over 20 years of experience in the investment and brokerage industry. Mr. Loh has been a Principal and Director of Centurion Global Ltd, a controlling shareholder of the Company, since April 2008 to present. His last position was in UOB Kay Hian Pte. Ltd. (formerly known as Kay Hian Pte Ltd) where he was Director (Business Development Consultant) from July 2009 to March 2010. He was a Director (Dealing) from July 2007 to June 2009, Executive Director (Dealing) from July 1999 to July 2007 and Associate Director (Dealing) from July 1996 to July 1999. He was a Managing Director (Management) at UOB Kay Hian (Hong Kong) Ltd (formerly known as Kay Hian Overseas Securities Ltd) from July 1999 to October 2001. 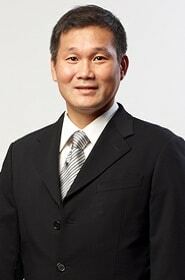 Prior to joining UOB Kay Hian Pte Ltd, he was with OUB Securities Pte Ltd as Dealing Director from August 1995 to June 1996. Mr. Loh started his career as Dealer (Dealing Director) at Ong & Company Pte. Ltd. from November 1989 to August 1995. Mr. Loh was presented with the Bintang Bakti Masyarakat (Public Service Star) (BBM) at the 2016 National Day Awards. He was previously presented with the Pingat Bakti Masyarakat (Public Service Medal) (PBM) at the 2011 National Day Awards. Mr. Loh currently is a director of Centurion US Student Housing Fund and PC Portfolio Pte Ltd.
Mr. Loh obtained a degree of Bachelor of Science from the University of Oregon in June 1988. Mr. Loh is the maternal cousin of Mr. Han Seng Juan, Non-Executive Director and controlling shareholder of the Company and brother-in-law of Mr. Bin Hee Din Tony, a senior management of the Company and a director of several principal subsidiaries of the Company. Mr. Han Seng Juan (“Mr. Han”), aged 56, joined the Board on 8 May 2015 as a Non-Executive Director. He is responsible for participating in the formulation of corporate and business strategies. Mr. Han was last re-elected a Director of the Company on 27 April 2018. Mr. Han has over 20 years of experience in the investment and brokerage industry. He has been a Principal and Director of Centurion Global Ltd, a controlling shareholder of the Company, since April 2008. His last position was in UOB Kay Hian Pte. Ltd. (formerly known as Kay Hian Pte Ltd) where he was Director (Business Development Consultant) from July 2009 to March 2010. He was a Director (Dealing) from July 2007 to June 2009, Executive Director (Dealing) from July 1999 to July 2007, and Associate Director (Dealing) from July 1996 to July 1999. 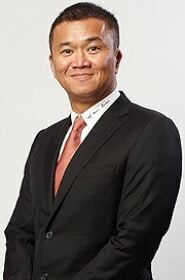 Prior to joining UOB Kay Hian Pte Ltd, he was with OUB Securities Pte Ltd as Dealing Director from August 1995 to June 1996 and Ong & Company Pte. Ltd. as Dealing Director from November 1989 to August 1995. Mr. Han started his career as a Dealer at UOB Securities Pte Ltd from July 1987 to October 1989. Mr. Han was presented with the Bintang Bakti Masyarakat (Public Service Star) (BBM) at the 2015 National Day Awards. He was previously presented with the Pingat Bakti Masyarakat (Public Service Medal) (PBM) at the 2010 National Day Awards. Mr. Han obtained a degree of Bachelor of Science from the University of Oregon in March 1987. He is the maternal cousin of Mr. Loh, Non-Executive Director and controlling shareholder of the Company. Mr. Gn Hiang Meng (“Mr. Gn”), aged 70, was appointed as an Independent Non-Executive Director on 17 May 2007 and as Lead Independent Director on 1 March 2014. He was last re-elected a Director of the Company on 27 April 2018. Mr. Gn is the Chairman of the Audit Committee and a member of the Nominating Committee. Mr. Gn was with the United Overseas Bank Group for 28 years. Prior to his resignation in 2001, he was the Senior Executive Vice- President in charge of investment banking and stock broking businesses. He was the Deputy President of UOL Group from 2001 to 2007. Mr. Gn obtained a Bachelor of Business Administration (Honours) degree from the University of Singapore (currently known as the National University of Singapore). Mr. Gn has been appointed as an independent non-executive director of each of Haw Par Corporation Limited (stock code: H02.SI), a company principally engaged in manufacturing, marketing and trading healthcare products, Koh Brothers Group Limited (stock code: K75.SI), a company principally engaged in construction, property development and specialist engineering solutions provider, SingHaiyi Group Limited (stock code: 5H0.SI), a company principally engaged in investing, developing and managing real estate properties, and TEE International Limited (stock code: M1Z.SI), a company principally engaged in engineering works with business interests in real estate and infrastructure since 13 August 2014, 16 August 2007, 1 December 2013 and 1 June 2013 respectively. The shares of these companies are listed on the Mainboard of SGX-ST.
Mr. Chandra Mohan s/o Rethnam (“Mr. Mohan”), aged 56, was appointed as an Independent Non-Executive Director on 17 May 2007. 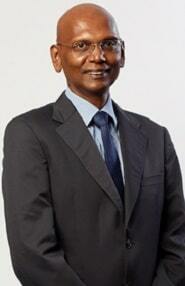 He is the Chairman of the Remuneration Committee and a member of the Audit Committee. He was last re-elected a Director of the Company on 26 April 2017 and will be seeking re-election at the forthcoming Annual General Meeting to be held on 25 April 2019. Mr. Mohan is presently an Advocate and Solicitor and has been a Partner at Rajah & Tann Singapore LLP, a law firm in Singapore, since January 2008. He is also a director of PC Portfolio Pte Ltd.
Mr. Mohan was a lecturer with the Faculty of Law at the National University of Singapore from July 1989 to March 1995. He has been appointed to sit on the SINDA Executive Committee for the term 2015–2017 and is re-appointed for the term 2017-2019. He was the Chairman of its Donor Relation Sub-Committee with effect from 27 October 2015 and is appointed as a member of the SINDA SkillsFuture Sub-Committee for the current term. He is also a council member of the North West Community Development Council (NWCDC) since 2002, holding the appointments of Chairman for the NWCDC SkillsFuture Standing Committee from 2017, NWCDC Finance Committee (2009-2017), Organising Committee for NWCDC Food Aid Fund for needy residents (2010-2018) and NWCDC Corporate Communications Committee (2006–2009). Mr. Mohan was presented with the Bintang Bakti Masyarakat (Public Service Star) (BBM) at the 2015 National Day Awards. He was previously presented with the Pingat Bakti Masyarakat (Public Service Medal) (PBM) at the 2011 National Day Awards. Mr. Mohan obtained a Bachelor of Law (Honours) degree from the National University of Singapore in June 1986 and a Master of Law degree from the University of Cambridge in July 1989. He is also a Fellow of the Singapore Institute of Arbitrators and a member of the Chartered Institute of Arbitrators in the United Kingdom. Mr. Owi Kek Hean (“Mr. Owi”), aged 61, was appointed as an Independent Non-Executive Director on 1 January 2017. Mr. Owi is the Chairman of the Nominating Committee and a member of the Audit Committee. He was last re-elected a Director of the Company on 26 April 2017. Mr. Owi worked with KPMG LLP in Singapore from 1982 until his retirement in October 2015 and had held various senior positions including Head of Tax, Head of Enterprise, Finance Partner and Deputy Managing Partner. Mr. Owi obtained a degree of Bachelor of Business Administration from the National University of Singapore in May 1981. He is an Accredited Tax Advisor (Income Tax and Goods and Services Tax) with the Singapore Institute of Accredited Tax Professionals. Mr. Owi has been appointed as an independent director and the lead independent director of SLB Development Ltd., a company which shares are listed on the Catalist Board of SGX-ST (SGX:1J0), since 23 March 2018. He is also an executive director of IMO & Partners Pte. Ltd., a director of Centurion US Student Accommodation Holdings Pte. Ltd. and an independent director of Centurion US Student Accommodation Inc.
Ms. Tan Poh Hong (“Ms. Tan”), aged 60, was appointed as an Independent Non-Executive Director on 8 May 2018 and will be seeking re-election at the forthcoming Annual General Meeting to be held on 25 April 2019. She is a member of the Remuneration Committee and a member of the Nominating Committee. Ms. Tan was the Chief Executive Officer of Agri-Food & Veterinary Authority (AVA) of Singapore from May 2009 to September 2017 and was responsible for the implementation of the organisation’s policies and strategies. Prior to her appointment at AVA, Ms. Tan was the Deputy CEO of the Housing and Development Board (HDB) from September 2004 to March 2009 where she was responsible for the planning, development and management of HDB properties. Ms. Tan also held various leadership positions in the HDB, including as a Director of Corporate Development. Ms. Tan is a fellow with the Centre for Liveable Cities, council member of the Singapore Red Cross and a board member of the Industrial & Services Cooperative Society Ltd. Ms. Tan has been appointed an independent director of Sheng Siong Group Ltd., a company incorporated in the Republic of Singapore which shares are listed on Mainboard of SGX-ST (SGX: OV8), since 5 January 2018. She is also an Independent Director of AnnAik Limited, a company incorporated in the Republic of Singapore which shares are listed on the Catalist Board of SGX-ST, since 26 July 2018. She also sit as a Director on the Board of Barramundi Asia Pte Ltd since 5 March 2018. Ms. Tan obtained a Bachelor of Science (Honours) in Estate Management from the National University of Singapore, and a Master of Business Administration (with Distinction) from New York University. She was awarded the Public Administration Medal (Gold) in August 2013, and the Public Service Medal in August 1999 by the Singapore Government. Mr. Teo Peng Kwang (“Mr. Teo”), aged 59, was appointed as Chief Operating Officer of the Group’s accommodation business in August 2011. Mr Teo was also appointed as an Executive Director of the Company on 8 May 2018 and will be seeking re-election at the forthcoming Annual General Meeting to be held on 25 April 2019. He is presently responsible for the day-to-day operations and expansion of the Group’s accommodation business. He also assists the Managing Director – Accommodation Business in growth and strategic planning. Mr. Teo joined in 2007 as an executive director of Westlite Dormitory (Toh Guan) Pte. Ltd. (formerly known as Centurion Dormitory (Westlite) Pte. Ltd.), one of our Group’s acquired subsidiaries in 2011. Mr. Teo is also a director of Kelvin & Elvin Investment Pte. Ltd in May 2018. Prior to joining our Group, Mr. Teo was a director of Maxi Global Management Pte Ltd, a company which then provided housing services for foreign workers, from March 2009 to April 2011. He was also a director of Maxfresh Leisure Pte Ltd, a company principally engaged in the rental services of fishing boats, from August 2010 to April 2011. Mr. Teo was also a director of Intertrade (S) Enterprise Pte. Ltd., a company principally engaged in chemical trading, from January 2006 to July 2007. Prior to 2011, Mr. Teo owned and managed various businesses in Singapore including real estate and construction business. Mr. Teo was a Director of ISO Industry Pte. Limited from March 2006 to February 2011, and Maxi Consultancy Pte. Limited from December 2008 to January 2010. Mr. Teo was also a Director at Pointbuilt Pte. Limited from May 2008 to February 2011, Serangoon Garden Staff Apartment Pte. Ltd. from March 2009 to August 2011 and Swissplan Dormitory Management Pte. Ltd. from September 2007 to April 2011. Mr. Teo has been the vice president of Dormitory Association of Singapore Limited since July 2015 and previously was the president of the same association from October 2012 to June 2015. He has also been an independent trustee of the board of trustees for the Migrant Workers’ Assistance Fund since November 2014. Mr. Teo completed his primary school education in 1972 at River Valley Primary School.